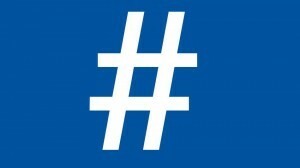 Facebook started rolling out hashtags last week and will continue to roll it out for more users in the coming weeks. Many users were already used hashtags but they were not clickable (searchable) before. So what are hashtags? A hashtag is a word or acronym used within a post, designed to signify the topic of that post – in other words, hashtags are designed to organize content related to a topic and make it easier for users to find that content and connect. Twitter user Chris Messina created the hashtag back in 2007. Since then, the hashtag has been integrated into other platforms, including Flickr, Pinterest, Tumblr, Google+ and Instagram. You still can’t search for posts in Facebook Graph Search, you can search for hashtags. Users will also be able to create posts directly from a hashtag feed and search results. Even if hashtags aren’t clickable for you yet, you should start using them because other users are able to click them already. Right now you aren’t able to see what are popular hashtags on Facebook. Even typing words into the search bar beginning with # doesn’t result in any suggestions. Facebook does plan to add “trending topics” in the coming weeks. Many people are worried that hashtags will clutter things up, but I am excited about the opportunity to create more visibility through the tags. Of course, there will likely be spamming and hijacking of tags, however since they are already being used so much on other platforms, I am not too worried about this. Now is the time to start thinking about how you are going to use Hashtags in your marketing strategy. You should start using (strategic) hashtags in your public Facebook posts (your personal profile and Fan/Business page). Hashtags aren’t clickable on mobile yet but they do work on the desktop version if you posted them on mobile. So be sure to include them even if you are posting from mobile. To get the most out of hashtags, think about your industry and target market, look at trending hashtags in your industry, look at tags you use on your other social media platforms and create a strategy for using them. You want to create new hashtags and gain exposure for them and you can also join existing conversions by using current/popular tags. Every hashtag on Facebook has its own unique URL with a status update box at the top. You can drive traffic to that URL from other sites to engage users and create even more conversation. You can search for hashtags by typing into the main search box on top of Facebook. Simple hashtags are often most effective because the topic is clearly presented and users are more likely to search for something simple. 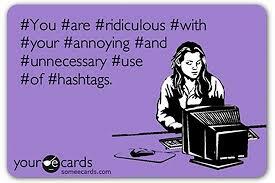 There is such thing as hashtags abuse and you want to avoid it. You know what I mean, those #people #who #hashtag #every #word #in #their #post. As with all social media, hashtags are effective when you focus on targeting the right people and connecting. It’s always quality over quantity. Sure you can tap into more traffic if you hashtag every word, but how much of that traffic is actually going to help you? Remember that hashtags are public – anyone searching for that tag will be able to see your content. Use capital letters to make it easier to read the tags. Example: #SmallBiz is easier to read than #smallbiz. When tags aren’t easy to read, confusion ensues. An unfortunate example was the trending tag #nowthatcherisdead. Many fans that the tag was announcing that Cher was dead, they read it as #NowThatCherIsDead but it was really an announcement of Margaret Thatcher’s death, and should have read #NowThatcherIsDead. See how capitalization is important to avoid confusion? Avoid using long hashtags. It’s harder to gain exposure and create a conversation around longer hashtags. For example: #SmallBusinessInformation is going to be harder to get going than #SmallBiz or even #SmallBizInfo. Be careful with abbreviations. #FML is a common tag used amongst people on social media sites and it means [email protected]#* My Life. Let’s say your company was Florida Match Light (just made that up, not sure if it’s a real company or not), you wouldn’t want to use #FML and join that conversation. So again it comes back to doing research and planning before you jump in and start using a tag. If you aren’t used to using hashtags it may be a little confusing at first, but it’s worth the effort, so take some time to read up on tags and do some planning.